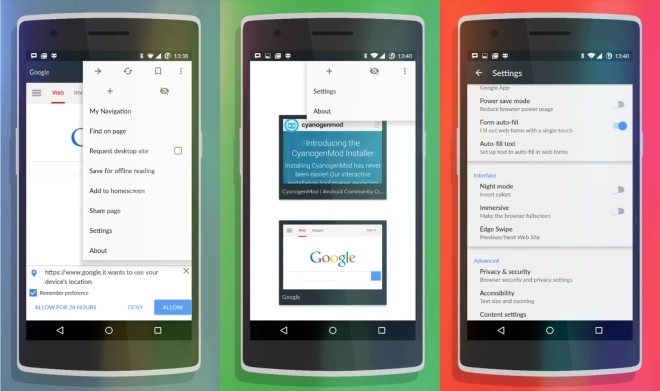 CyanogenMod has been working on a new browser, called Gello. The browser is based on Google’s open source web browser project and looks somewhat similar to Chrome, but is different enough. Not much was revealed in the Google+ post announcing the browser but a short video gives a glimpse at the interface and some of the features of the upcoming browser, including edge swipe to go forward and backward, night and immersive modes, enhanced download manager, offline reading mode, and individual site settings to access features such as camera, microphone, and also ad blocking functionality. No further information is available at the moment.